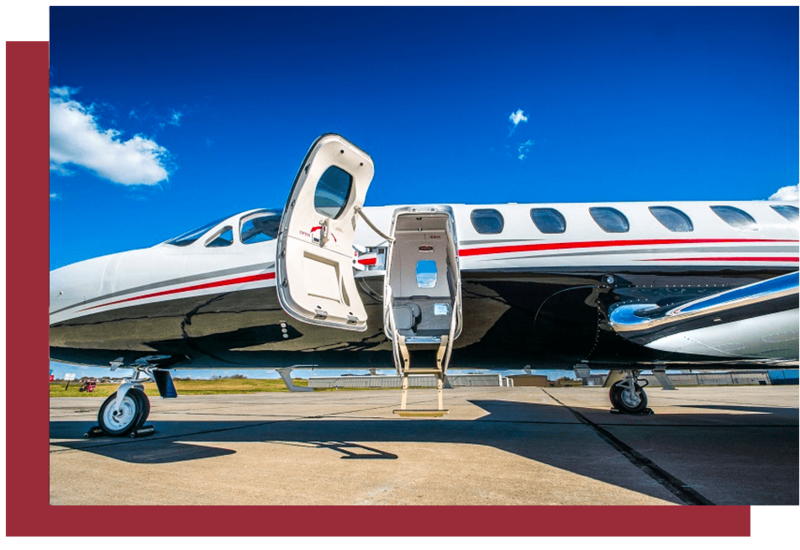 Since 1991, Silverhawk Aviation has earned the trust and respect of many Midwest customers by delivering an upscale, comfortable, and memorable charter experience at an honest price, with no surprises. Silverhawk Aviation is the perfect fuel stop for flight crews who value speed and reliability. We offer 24-hour fuel services, averaging just 17 minutes for quick turn service, and offer exceptional amenities as an Air Elite Diamond FBO. Get in the air on your schedule with our charter services. Regardless of your destination, our charter solutions are built on creating an upscale, comfortable, and memorable travel experience. We welcome you to enjoy the Silverhawk difference. We offer expert avionics repairs, modifications, and upgrades. If you need an ADS-B solution, WIFI, or Garmin Panel upgrade, we would welcome the opportunity to earn your business. Silverhawk delivers on time and at the quoted price with no surprises. Silverhawk is an FAA Certified Repair Station specializing in general aviation maintenance, repair, and upgrades ranging from mid-sized jets to single engine pistons. We provide best in class service to ensure every job is always completed to your satisfaction. Silverhawk Aviation is an FAA Certified Repair Station (No. YQRS759U). We specialize in general aviation maintenance, repairs, and upgrades as well as Phase inspections and routine maintenance. Whether it’s a couple dings and dents or a full overhaul, the maintenance center at Silverhawk Aviation has the team to take care of your updates. Silverhawk Aviation is an expert in avionics repairs, modifications, and upgrades as a dealer for Garmin, Gogo and other major avionics providers. In addition to being able to troubleshoot and repair existing avionics equipment, Silverhawk has completed many full avionics upgrade installations of flight decks, taking advantage of the latest offerings of glass-cockpit systems. Located in the middle of the US, Silverhawk is the perfect transcontinental stop for fuel. We provide both single point and over-the-wing fuel services to ensure a fast turnaround time. 24-hour services, low and contract jet fuel prices, and parking/deplaning assistance are all available at Silverhawk’s Lincoln, NE location.